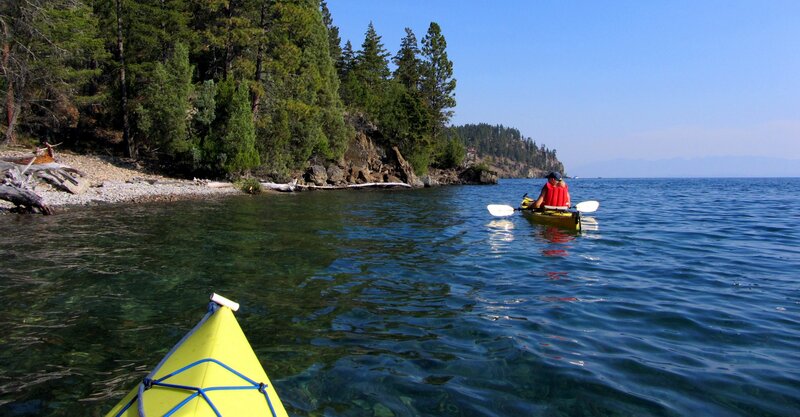 Cedar Island is great for circumnavigating with a kayak. It is relatively small with a shoreline that varies between dramatic rock outcroppings and smooth gravel beaches. The multi-colored stones on the beaches are worn and rounded and easy on bare feet. 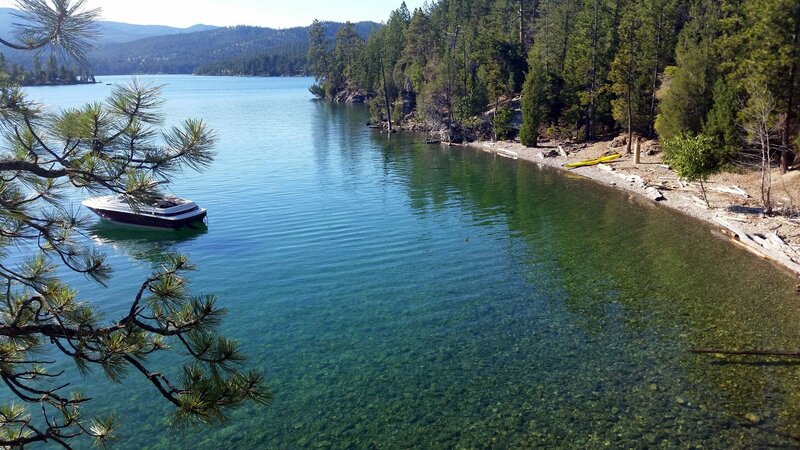 On a hot summer day, swimming in the surrounding clear, cool water is as enjoyable as it looks inviting. I actually enjoy snorkeling there. There are not too many tropical fish, but the underwater rock formations are fascinating! But then, of course, I’m a rock guy too. Born to rise early ... (more about Morning Guy).